Knee osteoarthritis is sometimes referred to as wear and tear arthritis. 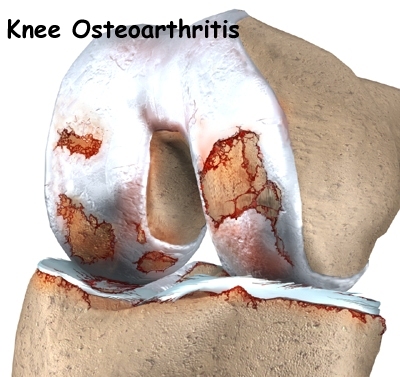 Osteoarthritis of the knee joint is a common problem for many people. It affects the articular cartilage, which is the smooth lining that covers the ends of the leg bones where they meet to form the knee joint. Articular cartilage decreases friction in the knee joint. Beneath the cartilage is a layer of bone. When the articular cartilage wears away, the bone below is uncovered and rubs against bone. Small outgrowths may form in the joint. These are commonly called bone spurs. Years of repeated strain on the knee can cause knee osteoarthritis. Abnormal movement and alignment of the knee caused by ligament tears, meniscal injuries or fractures of the joint surfaces can lead to wear and tear on the joint surfaces. Genetics may make some people prone to developing knee osteoarthritis. Obesity is linked to knee osteoarthritis. The condition develops slowly over several years with pain, swelling, and stiffening of the knee being the main symptoms. The pain is usually worse after activity and as the condition progresses it can interfere with your daily life, even affecting your sleep patterns. Your doctor will base his diagnosis of knee osteoarthritis on your medical history and an examination. X-rays can help in the diagnosis. They will also help your doctor rule out other problems. An MRI may be necessary to assist your doctor in his diagnosis. Finally, arthroscopy may be necessary to actually look inside the knee and see if the joint surfaces are beginning to show wear and tear. You may qualify for a same-day outpatient knee arthroscopy at the new Seaside Surgery Center in Naples, FL. 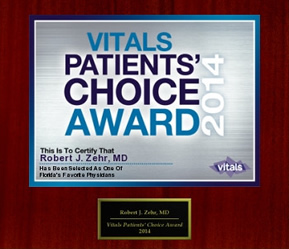 This world-class facility was designed specifically for outpatient total joint replacement. 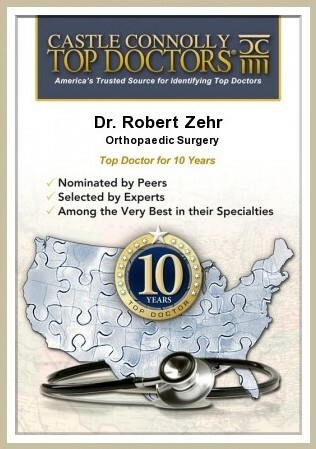 Imagine having your total knee replacement surgery performed by the best knee surgeon, Dr. Robert Zehr, and going home the same day to recover in the comfort of your home, surrounded by friends and family.